When you take a wilderness first-aid course or spend some time as an outdoor guide, as I have done, you’ll find most prepackaged wilderness first-aid kits fall short. The Weekender, one of AMK's most popular, is a rare exception. Beyond a few extra Band-Aids, painkillers and a splint, it has everything I want for a multi-day trip. There's even a handbook on wilderness and travel medicine. All of the supplies are organized into labelled pockets and sleeves making it easy to find what you need, when you need it. 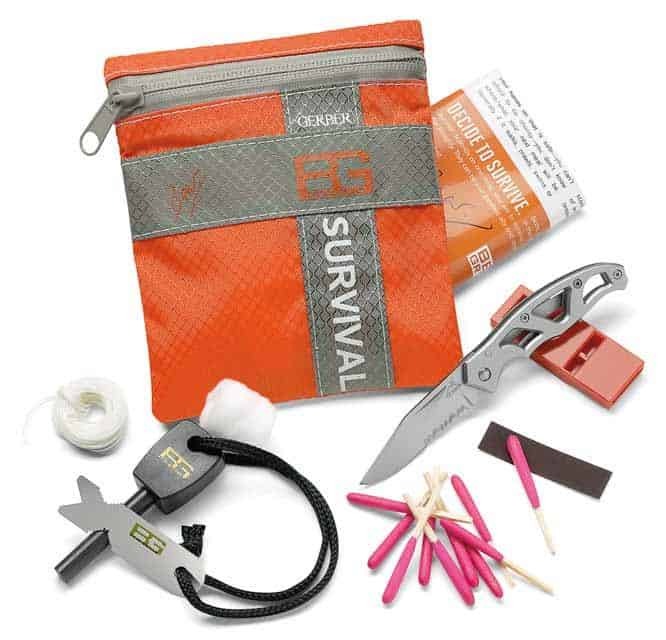 The essentials, according to TV survival guru Bear Grylls, are a small knife, emergency whistle, fire starter, snare wire, emergency cord, cotton ball for first tinder and Grylls's guide for what to do with it all. This comes inside a locking waterproof bag and a nylon sack; though neither is especially tough, so maybe repack the matches in something else. Overall, a solid start to being prepared for the worst. 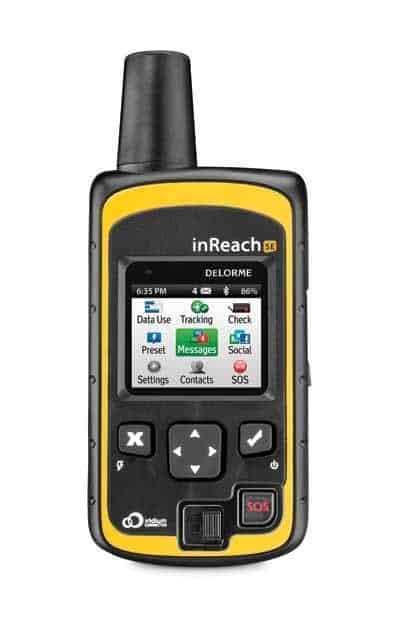 The InReach SE fills the gap between an emergency locator beacon, which calls for help but nothing else, and a satellite phone, whose cost is too high for most of us. Using Iridium's satellite phone network and InReach's colour screen and virtual keyboard, you can send and receive text messages and post to social media in 90 per cent of the world without cell reception. And when things go wrong, call in the cavalry at the press of a button and then communicate with rescuers via text.